The Round Lake Area Exchange Club and five year sponsor, Robert Frank Realty, are proud to announce the July Hometown Hero, U.S. Air Force Bradley Bertram of Ingleside. He was registered for this honor by his father, Bill Bertram of Round Lake. Bertram is a 2009 graduate of Grant High School, he has been in the Air Force for 5 years currently serving in Texas and preparing to be deployed. 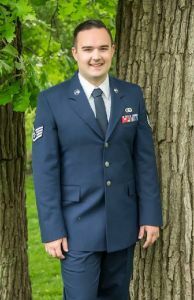 Bertram graduated from the Air Force Community College in 2015 with an Associate’s Degree in Meteorology. 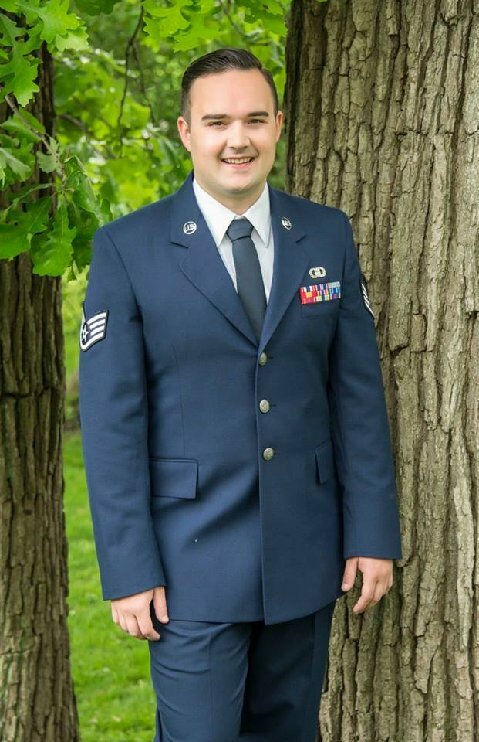 He has received the Honor Graduate Basic Training, Distinguished Graduate Weather Forecaster school, Distinguished Graduate Weather Radar School, and Distinguished Graduate Airmen Leadership School. With the generous support of this month’s sponsor Robert Frank Reality, Bertram’s “Hanging with the Heroes” care package will be send to him during his deployment and will include beef jerky, power bars and other snacks, a personalized “Hanging with the Heroes” t-shirt (donated by Artrageous of Hainesville), a piece of home, and letters from Round Lake School District 116 students. 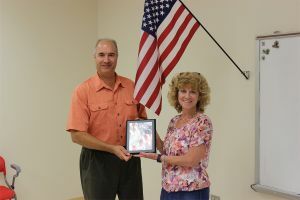 The Round Lake Area Exchange Club will present a plaque on his behalf Wednesday, July 27, at their meeting held in Round Lake. The Round Lake Area Exchange Club needs your help in getting our local heroes signed up. Any and all military personnel serving overseas or in the USA from any of the Round Lake Areas, Hainesville, Fox Lake, Ingleside or surrounding areas qualify for the program. You can register your loved ones in less than five minutes by going to www.rlaexchange.org/hero. For more information visit the website or you can contact the program chair Sherry Ridge at 847-740-2379.